Roy Hodgson is “confident” Wilfried Zaha will follow his lead in signing a new contract to remain at Crystal Palace. The manager, who turned 71 on Thursday, has agreed new terms to commit to the club until 2020. He revealed similar discussions are ongoing with his finest player at the conclusion of a transfer window in which his future became uncertain. “There’s never been any question of the club wanting or being interested in any offers for Wilf Zaha,” Hodgson said. “We said at a very early stage, myself, the chairman and the American owners, that we don’t want to bring that many players in, and certainly don’t want to lose the good players we have. “I’m delighted (Zaha is staying). He’ll be happy too, because he’s such an iconic figure at this club. When you’ve got a player of that quality – and we’ve got several of them – there’s always going to be speculation because other clubs are going to want them. “I’m not aware of bids (for him), but that doesn’t mean to say they weren’t there. The bids don’t come these days directly to managers. They come through chairmen, and also through sporting directors. Often it goes owner to owner when you’re talking about the big transfers. 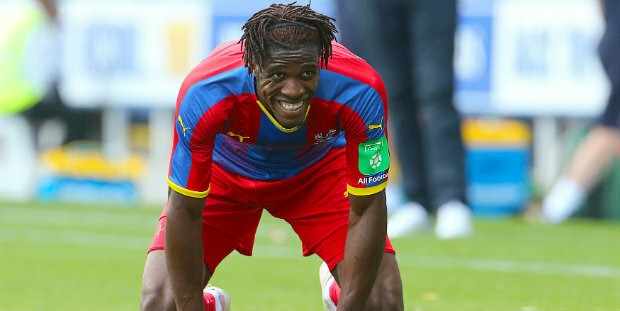 Be the first to comment on "Palace boss believes Zaha will sign new deal"